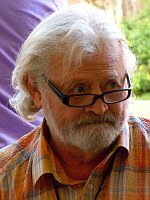 This is the first of a two part programme which focuses on American genealogist and amateur historian Paul Polansky and how he brought to Czech and worldwide attention the existence of the Czech camp for Roma at Lety during the Second World War. 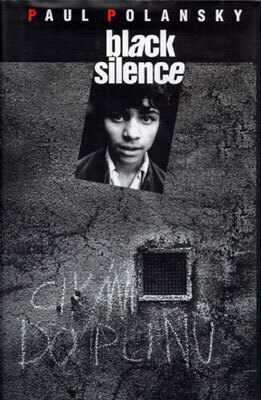 Polansky is credited as the main driving force behind the unearthing of explosive details about the Roma camp in the early 1990s’. The story of the camp, originally established by the Czech government during the short lived second republic ahead of the Nazi occupation, had been largely lost, covered up, or distorted since the Second World War. Polansky did not set out be controversial or shed light on one of the most shameful episodes of twentieth century Czech history. He was a genealogist who was researching the Czech origins of families who originally founded his hometown of Spillville, Iowa. The research took him to the regional archives at the library of South Bohemian Třeboň and his interest was sparked by a hint that from the librarian there that there was more to the small village of Lety than met the eye. In fact the library held a vast archive of documents about the creation, operation, deaths, and transports from what became Bohemia’s work, concentration, and death camp for the Roma population. Once a 50 year ban on opening the files was set aside and Polansky was allowed to consult them, Polansky was able to explode a series of myths about the camp. 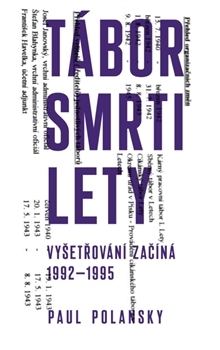 A book published in Czech late last year ’Tábor Smrti Lety’ or ‘Death Camp Lety’, subtitled the investigation begins 1992 – 1995, tells the story how he pieced together the evidence, often against repeated local denials and official resistance. His findings created a furor in the Czech Republic with many then, and now, still trying to downplay his major revelation that the camp was Czech organized and Czech run with many of the deaths due to savage treatment and hunger. In an interview with Mr. Polansky last week, I put it to him that the near 500 page book is very much his own personal detective story about how he battled with adversity to establish the truth. The main feature is that you helped bring this camp to public attention. Can you explain what you found out because the whole history of this camp had been ignore, more or less covered up, or even shrouded with lies? How would it be best to describe this camp? And so what has happened to these stories, they have been recorded presumably? Part of this story seems to be about the barriers that were put up in your way once you started getting some of the initial information. I have the impression that perhaps the only reason that you got as far as you did was the support of the US Embassy, which the Czechoslovak and later Czech governments could not ignore? “Yes, in the beginning I had a lot of support. When I finished my research and a newspaper in the United States published a front page article about Czechs having a gypsy concentration camp during World War Two, the Czech Embassy in Washington DC called me and invited me to a meeting. They wanted to cooperate. They wanted to form a team of historians from Charles University to help research the documents and to help make available the story. They wanted the United States Holocaust Memorial Museum to offer architects to design a proper memorial. They really wanted to go ahead and present this story openly to the rest of the world.